Please note that both our Spain and Italy offices will be closed on November 1st, 2017 in celebration of All Saints Day. They will resume activities on November 2nd. We kindly ask that you help us by flagging any urgent shipments. All Saints’ Day, also known as All Hallows’ Day, Hallowmas is a Christian celebration in honor of all the saints. 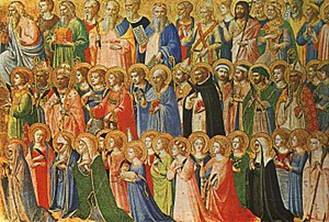 Christian celebration of All Saints’ Day stems from a belief that there is a powerful spiritual bond between those in heaven and the living. The day commemorates all those who have attained the beatific vision in Heaven. It is a National holiday in many historically Catholic countries. In the Western Christian practice, the liturgical celebration begins at Vespers on the evening of 31 October, All Hallows Eve, and ends at the close of 1st of November. It is thus the day before All Hallows Day, which commemorates the faithful departed.